Sure, Pitchfork may be over, but we've still got the bright, shining light that is Lollapalooza on the horizon. Chances are you've worn out all your summer sandals by now, so it's time to scoop up some new festival footwear. 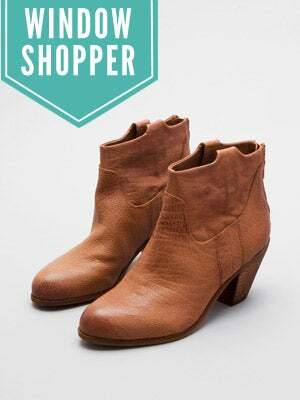 These Sam Edelman booties are the perfect mix of bohemian-chic style and full-on utilitarianism — you'll look super cute, and your tootsies will stay in tact. Pair these babies with cutoff shorts and a tank or a flowy dress for that oh-so-effortless look. And, once the sun sets on the summer season, these kicks will look fab with all your fall fashions. Sam Edelman Lisle Booties, $154.95, available at Lori's Shoes, 824 Armitage Avenue (between Dayton and Halsted streets); 773-281-5655.